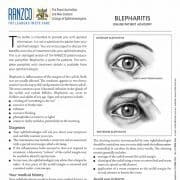 Blepharitis is inflammation of the margins of the eyelids. Both eyes are usually affected. The condition appears in two forms: anterior (on the top eyelid) and posterior (on the lower eyelid). The most common cause is bacterial infection in the glands of the eyelids and eyelash follicles. 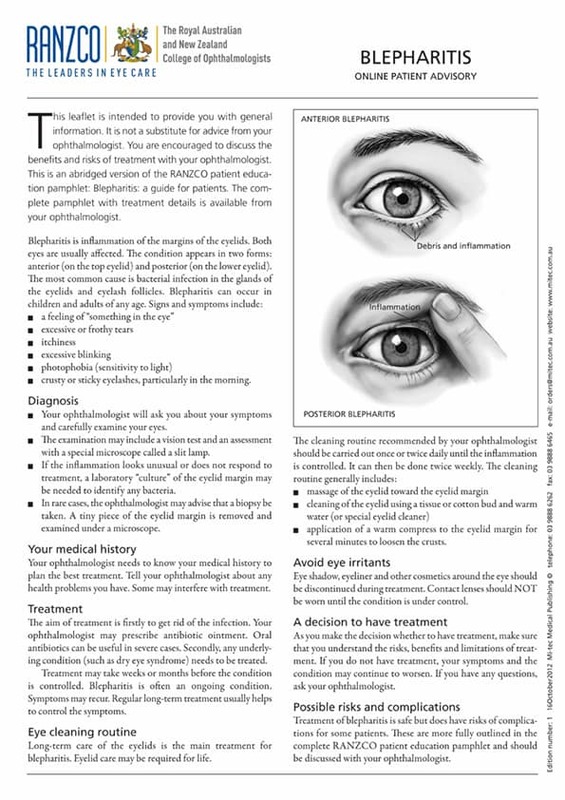 Blepharitis can occur in children and adults of any age.